move your heads Archives - Bob Irsay Irrigation Design, Inc. Although our area has experienced more than its normal share of rainfall in recent months, the time will come when the rains diminish and the need for your sprinkler system to work well will arise again. If you want to get the most out of your sprinklers, consider hiring a licensed and insured business specializing in sprinklers west palm beach to go through your sprinkler system and adjust your sprinkler heads. A company like this can move your heads to give you optimal sprinkler coverage, as well as make recommendations for ways that you can irrigate your lawn and landscaping more efficiently to reduce water waste. A business that works on sprinklers boca raton can make your irrigation system more efficient and eco-friendly in a number of ways. 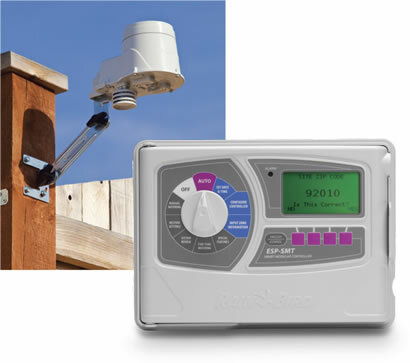 In addition to improving your head layout to eliminate overspray and over-watering, a company can install a rainswitch or upgrade your controller to a “smart” clock. Smart controllers can adjust how long they run a sprinkler system based upon atmospheric conditions. Other upgrades include water-conservation devices such as in-ground moisture sensors, which communicate with irrigation controllers to tell the controller whether certain zones need irrigation. Call a leading irrigation south florida business to fine-tune your sprinkler system and take advantage of the different products that conserve water and save homeowners and property owners money. Reducing overspray and overwatering can lead to significant savings on water bills and benefit the environment. Watering your lawn the right amount also reduces the presence of pests, fungi and weeds. This entry was posted in Blog, West Palm Beach Sprinklers and tagged “smart” clock, adjust your sprinkler heads, atmospheric conditions, benefit the environment, conserve water, eco-friendly, eliminate overspray, fine-tune your sprinkler system, fungi, improving your head layout, in-ground moisture sensors, irrigate your lawn, irrigation, irrigation controllers, irrigation south florida, landscaping, licensed and insured business, make your irrigation system more efficient, money, move your heads, optimal sprinkler coverage, over-watering, pests, rainfall, rains, rainswitch, reduce water waste, reducing overspray and overwatering, significant savings, smart controllers, sprinkler system, sprinklers, sprinklers boca raton, sprinklers West Palm Beach, water bills, water-conservation devices, watering your lawn the right amount, weeds, zones on 01/20/2016 by jason.